Myrrh (Commiphora myrrha) is a thorny tree that is small in stature, growing to only about nine feet high. The tree has small leaves and flowers, the latter of which are white, as is the bark on older trees. Myrrh comes from the Burseraceae family along with frankincense (Boswellia spp.). Myrrh essential oil smells warm and sweet yet spicy, with a musty and earthy tone. The exudate of C. myrrha has been used throughout history in this manner. Many churches still employ it in various services today. One of the spiritual uses is as a symbol of the prayers rising to heaven. However, the resin has been used for many thousands of years, dating back to the ancient Egyptians. In their culture, it was utilized in embalming rituals, having been found in many burial tombs. It was also an ingredient in perfumes and even cosmetics. This is where botanical names are essential. Opoponax is often referred to as 'sweet myrrh,'; however, it is used more in perfumery than in aromatherapy. Frankincense and myrrh oil come from the same fragrant sap-producing family of Burseraceae and they are both collected in the same manner. Both frankincense and myrrh are edible, and many natives chew on myrrh gum. Raw myrrh looks like dark, hard globules of sap, while frankincense is lighter in color. There are two different types of aromatherapeutic myrrh you can find, which are myrrh resinoid made from solvent extraction, and myrrh oil, which is steam distilled. While the resinoid is a dark, viscous, non-pourable mass, myrrh essential oil is liquid. Its color may vary from pale yellow to greenish-yellow to amber brown. Oil of myrrh blends well with black pepper (Piper nigrum), cedarwood atlas (Cedrus atlantica), both German chamomile and Roman chamomile (Matricaria recutita and Anthemis nobilis), frankincense (Boswellia spp. ), geranium (Pelargonium graveolens), lemon (Citrus limon), and more. Myrrh should be avoided by anyone pregnant or breastfeeding. In ancient times, myrrh was thought to have been burned as incense by the Assyrians and Babylonians. The ancient Egyptians charred myrrh to make kohl, which gave the Egyptian women their famous looks. Today, myrrh is used as a food flavoring in items like alcoholic and non-alcoholic drinks, baked goods, candies, gelatins, and meat products. The myrrh plant has been used for millennia, and the following are some descriptions about how to use myrrh in the present day. Certain essential oils that are meant for Christmas and can help move the spirit, getting you in the mood and reminiscing about past celebrations. Myrrh and frankincense, of course, are two of the main ones due to their connection with Jesus and the Bible. Any combination of the above oils could work well as room sprays or diffuser blends to brighten up your holidays. The use of myrrh for facial masks dates back to the Ebers Papyrus (1550 BC). As a beauty treatment, it is helpful for oily and blemished skin, and therefore can be used to help reduce acne. Other uses for the oil on the skin are athlete's foot or other dry and cracked skin issues. You can also use it for ringworm, eczema and psoriasis, and more. It can help with mature skin and wrinkles when added to blends in a carrier oil. There's a reason that Egyptian women added myrrh oil to their beauty routines! These are just a few of the oils touted for their benefits for aging skin. Remember that there is no such thing as the "fountain of youth," but there is a definitive reason that essential oils used in this method have lasted centuries. If you are not big on the taste of peppermint, you can substitute with spearmint (Mentha spicata), cinnamon (Cinnamomum zeylanicum), sweet orange (Citrus sinensis), lemon (Citrus limon), clove bud (Syzygium aromaticum), and many more. It's all up to your preference! As history shows, there are many health benefits to myrrh oil. While some historical uses are defunct, there are many ways you can get these healing properties at home today. In ancient times, myrrh and other plant products were made into poultices, tinctures, extracts, and more to disguise the scent of decay. In some instances, they learned the substances also healed the wounds as well. Myrrh is not only antiseptic but helps stimulate cellular regeneration and growth. It has been used in this manner since before biblical times. It can be used in oil blends and salves on wounds, boils, ulcers, scratches, cuts, and other skin issues. A cancer diagnosis is one of those life-altering moments that can send even the calmest and centered person into a tailspin of emotions. 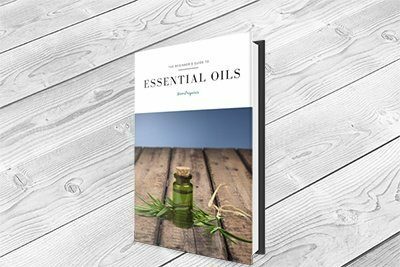 While no essential oil can cure cancer and sites saying so only give false hope to people desperate for an answer, the oils can certainly ease a lot of the side effects of cancer and other dreaded diseases. For instance, they can help ease emotions, keep the skin hydrated and smooth when it is being barraged with the onslaught of chemical treatments, used to create relaxing baths to ease stress and promote restful sleep, help stave off nausea, and much more. While these oils can be helpful, you need to make sure you consult with your care team to ensure you are not interfering with your treatments. While diffusing blends should be safe, some bodily applications like massages with body oils may not be the best option. Myrrh has been used anecdotally throughout history dating back way before biblical times. Scientists have shown increasing interest in this exudate and have found that there are many possible therapeutic applications for it in today's world as they proof our ancestor's uses. The potential anticancer activities of both myrrh (Commiphora spp.) and frankincense (Boswellia spp.) were researched by multiple scientists and the results published in the Oncology Letters in 2013. A study on the antimicrobial effects both Commiphora Myrrha and C. Africana were published in an issue of the Journal of Chemical and Pharmaceutical in 2014. Researchers Suad A.Gadir and Ibtisam M. Ahmed studied both oil's actions against bacteria and fungi in Khartoum's microbiology lab in the aromatic and medicinal plants research center in Sudan. The volatiles were tested against the bacterias klebsiella and staph aureus and Aspergillus and Candida for the fungi. The researchers found both oils have effective activity against both bacteria and fungi. The 200 plus species in the genus Commiphora has been used throughout history for a wide variety of ailments including diarrhea, gum disease, infections of the skin, inflammation, and pain. Recently, the anesthetic, antiseptic, and antitumor qualities of the substance have been in the spotlight. Both traditional and current use has been found to be due to the terpenoids, specifically the furano sesquiterpenes that can be found in myrrh. In an Egyptian study of over one thousand people tested for Schistosoma (bilharzia) parasitic flatworm infections, researchers found 4% had S. haematobium, and 2% had S. mansoni. They were treated every day for six days with 600 milligrams of Mirazid an hour before breakfast. Mirazid is a capsule containing a gelatinous ole-resin mix of myrrh. Pregnant women should not take any preparation with myrrh as an ingredient by mouth. It is an emmenagogue and could stimulate uterine contractions, causing miscarriage. There is too little information about use on skin, so this should be avoided as well. Likewise, there is not enough research available to determine how myrrh passes into breast milk and could affect babies, so it should not be used during this time, either. The emmenagogue effect is why some women use myrrh to start menses. Because of this, anyone with abnormal uterine bleeding should use caution or avoid myrrh altogether. When applied dermally, rashes may occur. Diarrhea can occur when used orally. Diabetics should be especially careful when using myrrh as it can lower glucose levels. Moreover, as it has this particular effect, those having surgery should stop using myrrh at least two weeks prior. Those suffering a fever should avoid myrrh; it could make it spike higher. Myrrh can increase systemic inflammation. The substance can also affect heart rate. Consult with your doctor before using myrrh. Doses over two grams can not only affect heart rate; it can irritate the kidneys as well. Do not take myrrh in large amounts like this as it can be dangerous. Anyone on diabetes or blood clotting medications should be extremely cautious and consult with their doctor before using myrrh or any other medications, natural or otherwise. Myrrh is best known to most people as one of the gifts bestowed upon baby Jesus by the Three Wise Men. It has long held importance for religious and spiritual practices. Our ancestors also knew the medicinal values of the resin, and scientists are beginning to learn exactly how smart they were, as the anecdotal value is beginning to have scientific proof. Always make sure that you get a pure substance, no matter what form you get it in. Go with reputable dealers that can supply reports showing their products are not adulterated, as these can be very dangerous. Besides that, oils can interfere with medications and can physically harm you if they are misused, and myrrh is no different. Use with caution and always consult your doctor and a professional aromatherapist.